really, i swear (*cough*). ok, so i didn’t, but i started this scarf last winter and then abandoned it for months, so i thought it was time to finish it off. there was just enough yarn left to make a matching earwarmer as well as a long chain for the cone christmas trees i plan to make as soon as i have a chance to get to michael’s for the foam cones. i learned several years ago that if you alternate rows of garter stitch, it makes a cool coil-like stretchy pattern. i think this is the third scarf i have made with this general concept – one infinity scarf and this is the second cowl. the earwarmer uses the same idea and is made so that it stretches to fit. i think it would be cool to make a hat with this design also, maybe that will go on the “someday” list. 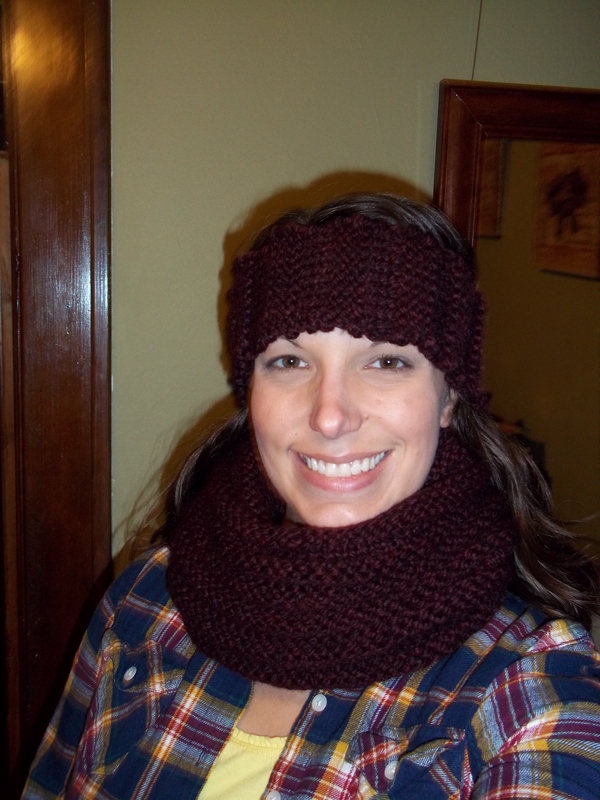 This entry was posted in Knit and tagged cowl, earwarmer, knitting, scarf. Bookmark the permalink.